It closes with a chunky metal tooth YKK zip. Black leather ribbon is tied onto the zip pull for a little extra detail. The leather used for the zip pull comes from a sample book for luxury leather sofas which I saved from going into landfill. 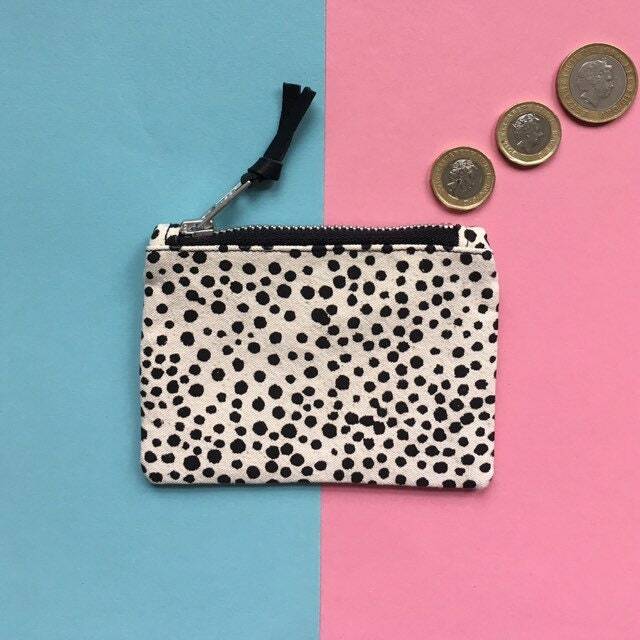 The zip is 10cm long and it's big enough to fit your bank cards inside! Please have a look at other zip pouches made from different pattern canvas in Zip Pouches section of my shop!